Warner Bros. Releases New Round of Exquisite ‘Fantastic Beasts’ Posters! 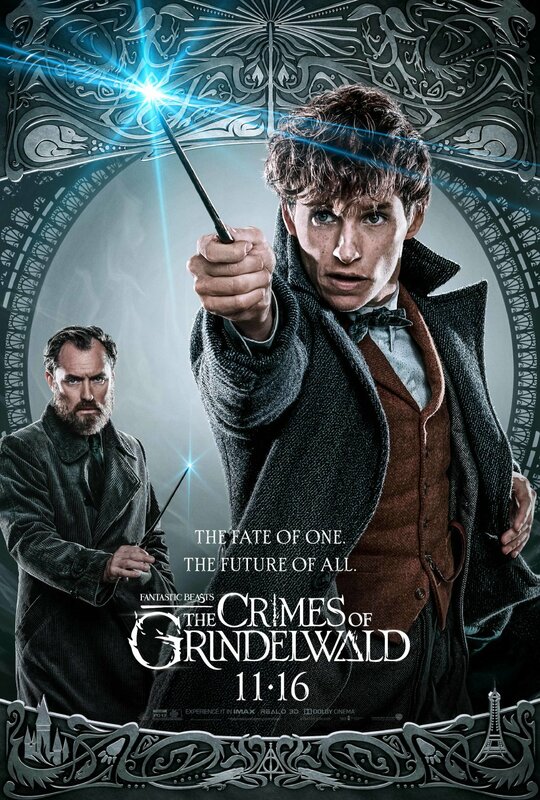 Art, BigNews, Fandom, Fans, Fantastic Beasts, Fantastic Beasts Movie, Films, Films - Trailers, Media, Movie Art, Movies, News, Potter News, Trailers, Warner Bros.
Warner Bros. released a new round of Fantastic Beasts: The Crimes of Grindelwald posters via Pottermore today, and they are exquisite. Dark and laden with thematic elements which point to the character and plot development expected in this second installment of five films, each poster is worth pouring over in detail! Each of the posters features delicate scroll-work incorporating design elements which allude to the story as a whole and to the characters as individuals, so it is important to begin by noting that the designs on the bottom of each poster are the same. Hogwarts castle is mirrored by the Eiffel tower of Paris, indicating the two significant locales featured in the film (as well as two seats of power and influence in the wizarding world at this time). The symbol of the Deathly Hallows is prominently featured in the center as a focal point. The pursuit of the Hallows is what brought Gellert Grindelwald and Albus Dumbledore together as youths, and that pursuit continues to bind them into the present, as Grindelwald’s rise to power is supported by his acquisition of powerful magical objects and accomplices. Finally, on either side of that symbol, there are two magical creatures breathing fire and, slightly above, what may be two stylistic snakes with flicking tongues exposed. These may be nods to the blue-flamed dragon featured in the final trailer, to the discovery of Nagini and to the two being inextricably intertwined. As for the designs at the top of each poster, all are different, carefully crafted to reflect the journey of the featured characters. 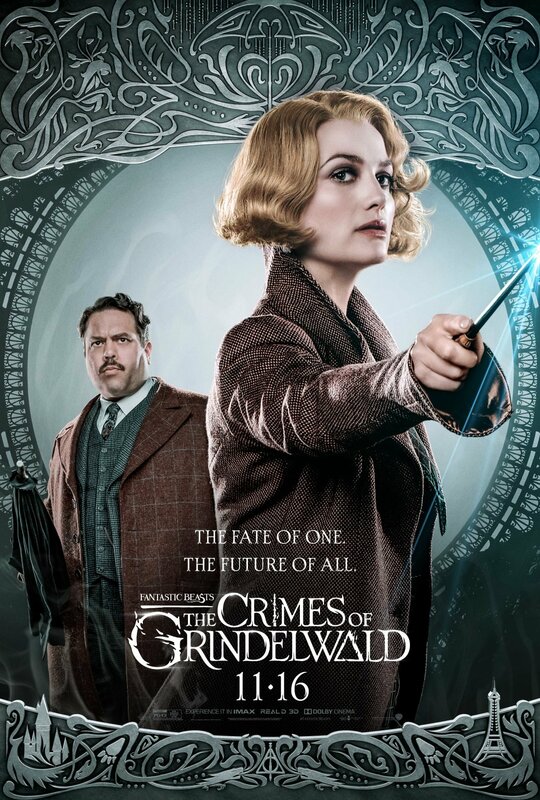 The first poster features Queenie Goldstein and No-Maj Jacob Kowalski. The centerpiece of the design above their heads is an umbrella, shielding its bearer from the rain. This is a clear reference to one of the closing scenes from Fantastic Beasts and Where to Find Them. Jacob and Queenie kiss before she leaves him to the obliviative properties of the serum-enhanced rainstorm. The designs beneath that umbrella, and their presence on the poster together, allude to what fans have long suspected, that Jacob’s memories of Queenie were not wiped clean forever! Beneath the umbrella is a heart surrounded by flames, suggesting that their love for each other continues to burn, and powerfully so. Other notable design elements are what looks to be the head of a bird with a prominent parrot-like beak, backed by a magical plant of some kind. The upper corners are also both filled with a fire-breathing creature whose wings are extended. The posture of that dragon seems to be protective rather than threatening, but its not clear how either specifically play into the plot. Either way, it seems Queenie and Jacob’s paths are bound to cross once more! 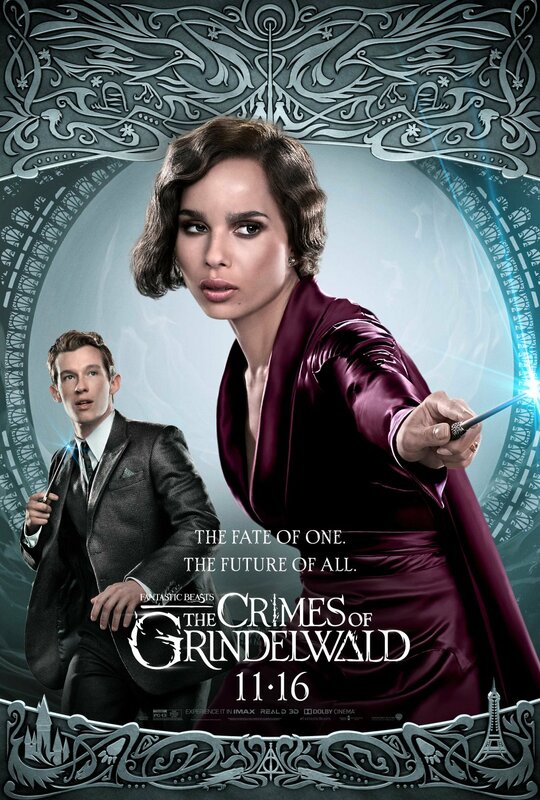 Leta Lestrange and Theseus Scamander appear together, which is not surprising since they are engaged. How close they will remain, however, is suspect. Above their heads is an “M”, which suggests that both work for or operate under the authority of the Ministry of Magic. Whether Leta has other motivations in play, and whether she will be wooed by Grindelwald in the end, remains to be seen. Previously-released posters indicate she is “Implicated by Prophecy,” so she will no doubt play an important role in either advancing Grindelwald’s cause–or in slowing him down. Large ravens close in on them. A raven also appeared in the trailer (a magical symbol or sign?) and was featured in the recent subscriber’s Empire magazine cover design. These could indicate impending doom or death or be the calling card and sign of a secret, unknown alliance. Whatever they hint at, it must be important. 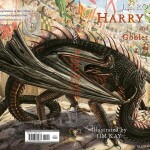 Finally, beneath the ravens are stylistic dragons facing toward the outside of the poster. This may mean Grindelwald has begun making overtures but that Leta has, so far, chosen to resist. Tina, newly-reinstated as an auror for MACUSA, appears in her telltale black leather trench coat. Alongside her is Yusuf Kama. According to Pottermore, he is a “French-African wizard from a pure-blood family who is on a mission to track down Credence.” Since Tina spent the last film trying to help Credence, it makes sense that their paths would cross–hopefully as allies. Above Tina’s head is a feather, though any guess as to what it represents is pure speculation. It could indicate that the phoenix–maybe even Fawkes!–will play into the storyline, a possibility previously discussed by Leaky. Prominently-featured aside the feather are two large and fearsome cats. These may be the madagot seen in earlier trailers. It has been suggested that a pair lives within the French Ministry of Magic as guards. Why are they facing the feather and what are they protecting? It is also possible, though perhaps less likely, that they are Wampus, magical creatures of North America and the symbol of one of Ilvermorny’s houses. However, since Tina is a Thunderbird, that would be a very interesting and unexpected allusion. 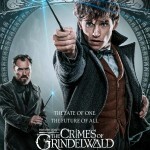 Newt Scamander and Albus Dumbledore are featured together, which is also unsurprising given that Dumbledore is the one who seeks Newt out for the present mission, telling him, “I can’t move against Grindelwald…it has to be you.” Newt must take the lead, and so he is depicted as doing so. Above Newt’s head are two outspread wings. It’s not clear what creature that may hint at–the aforementioned phoenix or a return of Frank the Thunderbird, for example–but it would seem to be important. What is clear from the scrolling designs is that Picket and the Niffler, along with a hoard of adorable pilfering babies, will be returning. Last, in the far upper corners, the head of another beast can be seen. Perhaps this is the Zouwu, revealed in its full glory in the final trailer. 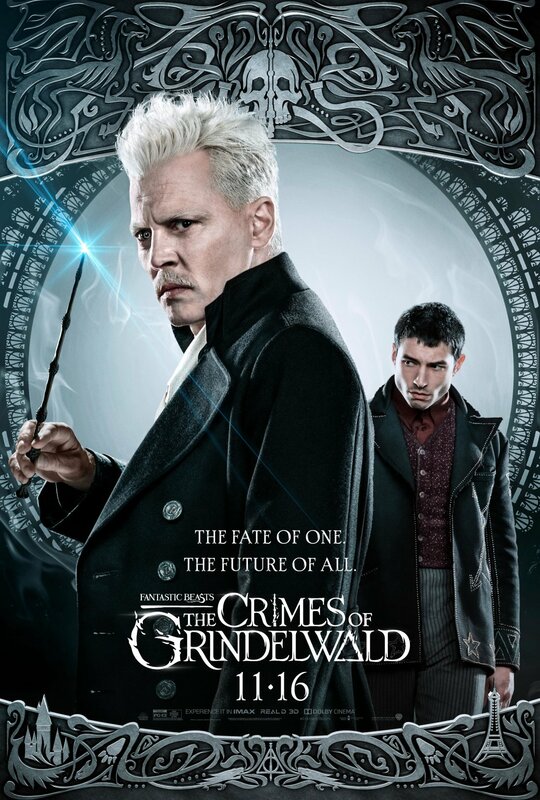 Last, but by no means least, Warner Bros. unveiled a poster featuring Grindelwald and Credence Barebone. Since the first trailer, fans have known that Credence would reemerge as a significant player in this film. He has gained control of his powers and is presumably hiding with Circus Arcanus so as to avoid discovery. Now more than ever, Grindelwald will want him as an ally–and now more than ever, Credence will be susceptible to resigning his outcast status for a position of great import and belonging within Grindelwald’s ranks. At the top of the poster is the Elder Wand, already in Grindelwald’s possession. Behind that is a skull. This probably refers to the literal skull which Grindelwald holds in the trailer as he appeals to wizard-kind, but it may also refer to an early form of the Dark Mark later adopted by Lord Voldemort. On both sides of the skull there are flames, and in the last trailer Grindelwald created a magical ring of blue flame–probably to keep foes out and allies safely in. Finally, this is flanked by thestrals, the magical creatures flying the carriage from which Grindelwald escapes early in the film. Are they aiding him willingly? And then, yesterday, one last poster featuring all the primary characters was revealed. Grindelwald is the character upon which all attention is focused. 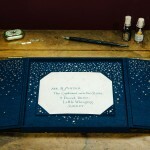 He will be the driving force of the story for the foreseeable future. But that does not mean he will be the character upon whom the plot turns. Each poster above also bore the tag line: “The Fate of One. The Future of All.” One of these characters will make a choice that irrevocably alters the trajectory of the story. 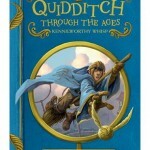 Will it be Queenie, tempted to reject a wizarding world that cannot accept her love for a No-Maj? 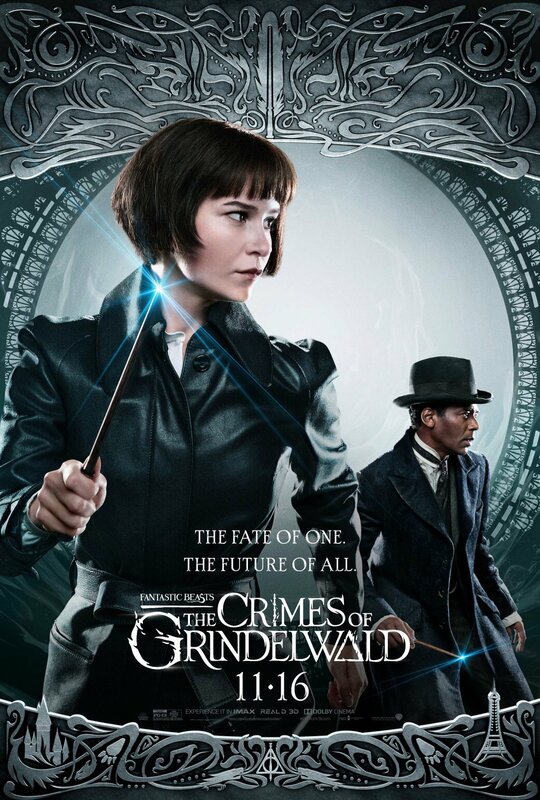 Will it be Leta, compelled by prophecy or familial expectations or the lure of power to turn from her fiancé and her friends to Grindelwald’s cause? Will it be Tina, acting apart from the Ministry as a rogue agent who can no longer tolerate the treatment of “lesser” people and fear of the unknown? Will it be Newt, who always does what it right whether it is what the establishment would wish or not? Or does it simply refer to Grindelwald and his fate? If he succeeds, however he succeeds, the future of ALL will be affected and nothing will ever be the same. What do you think, Potter fans? Did you love these posters? Is there anything we missed!? If there is, we can be confident that some of our questions will be answered in theaters Nov. 16–we can’t wait to see you there!